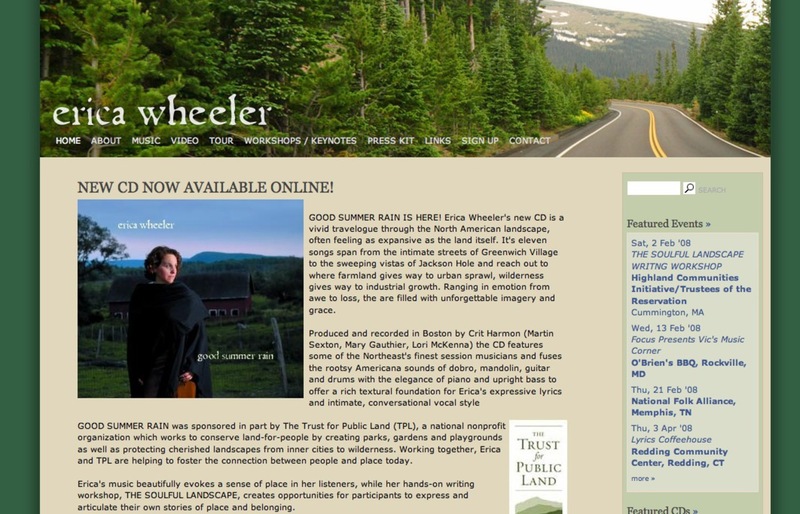 Erica Wheeler had some very inspired ideas for the design for her site. She sent us some photos she had taken around her home in Western MA, and from her tours around the USA. We incorporated them into her design to give a sense of location. Take a look - each header is different, without being distracting.